Perfect for all kinds of delicious drinks! 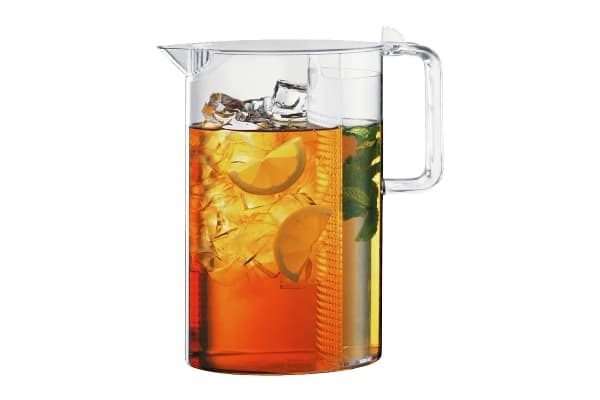 The Bodum Ceylon Ice Tea Jug with Filter is great for all occasions, during hot summers as well as cold winters! In addition to iced tea, the Bodum Ceylon Ice Tea Jug with Filter can be used for all kinds of delicious drinks like orange juice with mint leaves, sangria with lots of fruit slices or ice water with cucumber or lime slices. The Ceylon allows you to easily make delicious, natural iced tea, giving you the freedom of choosing your favourite ingredients.